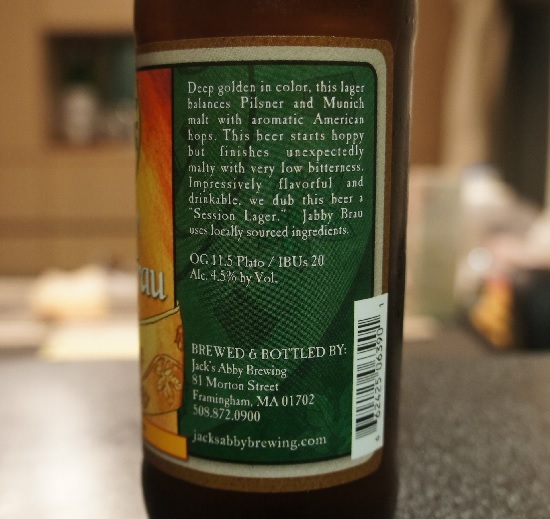 Brewer Description: (from bottle) The hardest part about making new and exciting hoppy beers is sourcing the hops you need. 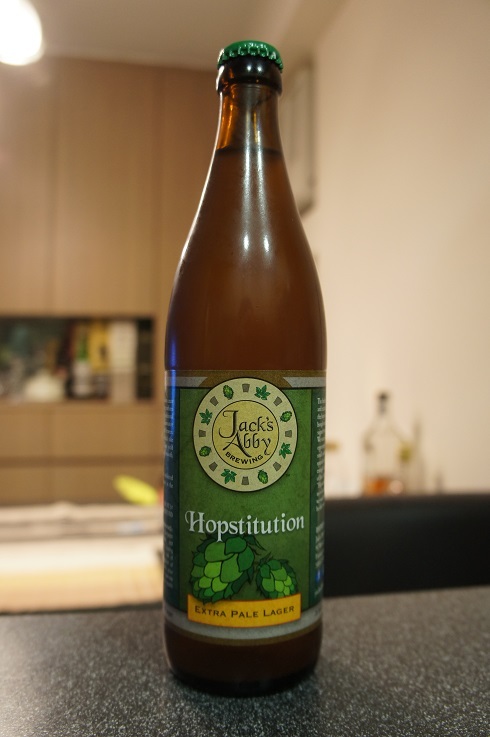 Most hops are bought under contracts which are signed two or three years in advance. We occasionally get opportunities to acquire small quantities of specialty hops that are enough for one batch of beer, but no more. 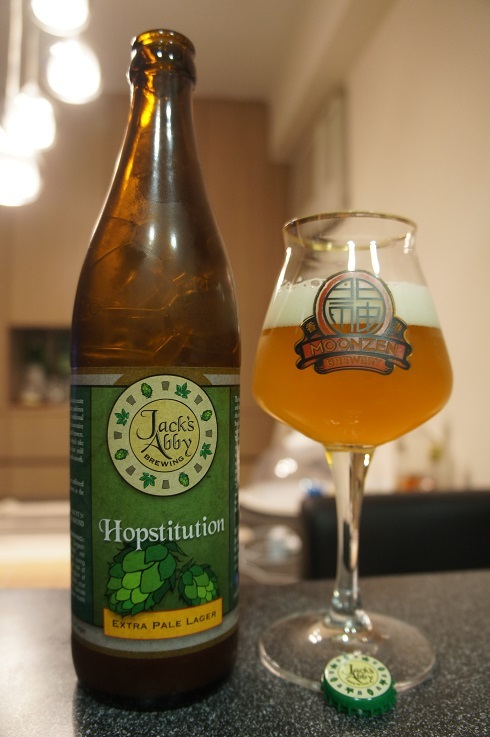 “Hopstitution” allows us to feature hops that we would otherwise not be able to make use of. Intro: A 16.9 fl oz. bottle with no bottled on or best by date, poured into a Moonzen teku glass. Appearance: It poured a cloudy golden colour with a slightly less than two finger white head that had good retention and left nice lacing. Aroma: Citrus orange, mandarin and a bit of peel with hints of mango. Taste: Juicy with orange, melon and mango dominating. 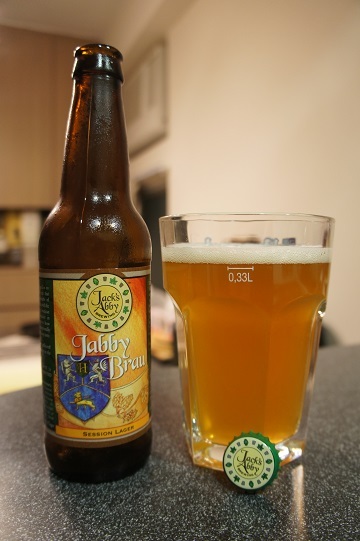 There are also some light herbal and floral notes, a hint of lemon zest and is lightly bitter. Mouthfeel: Light bodied and highly carbonated. 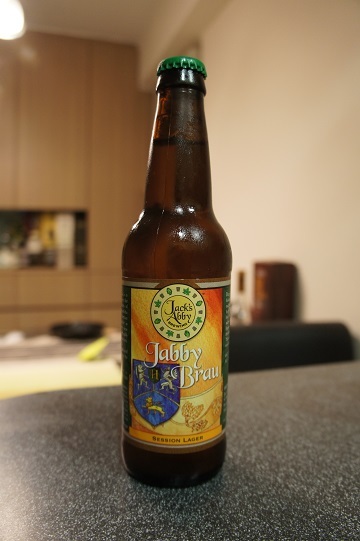 Overall: Another great lager from Jack’s Abby. 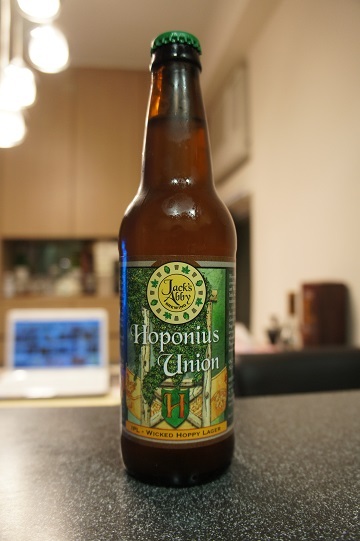 Much like Hoponius Union, it is light tasty and easy to drink. 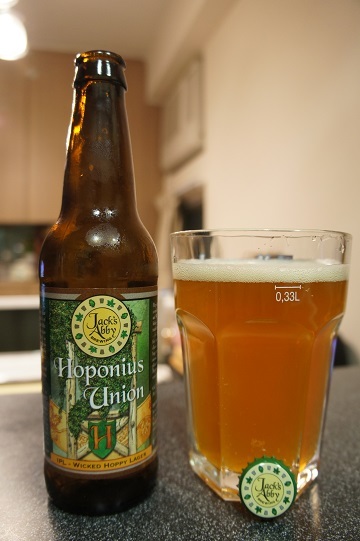 Brewer Description: (from bottle) Hoponius Union harmoniously combines lager yeast fermentation and West Coast IPA hops. Our India style Pale Lager is like a traditional IPA but with a twist – it’s fermented cold and aged for extended periods. 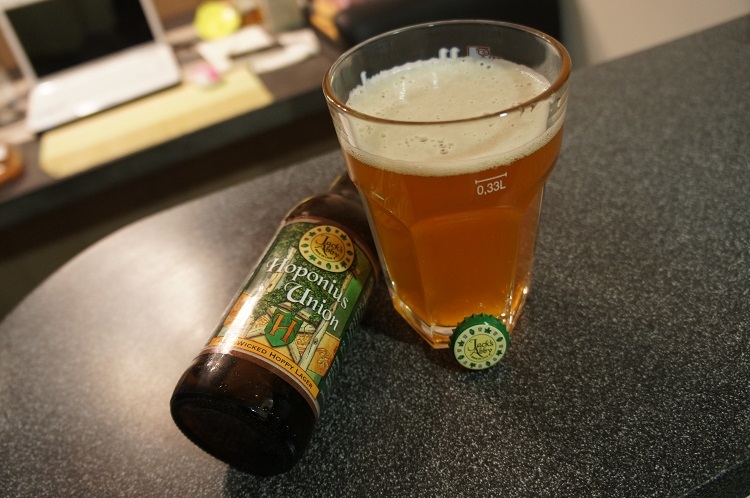 A blend of classic American hops creates a huge tropical fruit and citrusy hop aroma. A dry finish accentuates the pleasant bitterness and hop profile. Hoponius Union uses locally sourced ingredients. Intro: A 12 fl oz bottle with a manufacturing date of 1st December 2014 and poured into a pint glass (although I’d consider using an IPA glass for this next time). Appearance: The beer poured a slightly hazy golden orange colour with a less than one finger white head that leaves some spotty lacing. 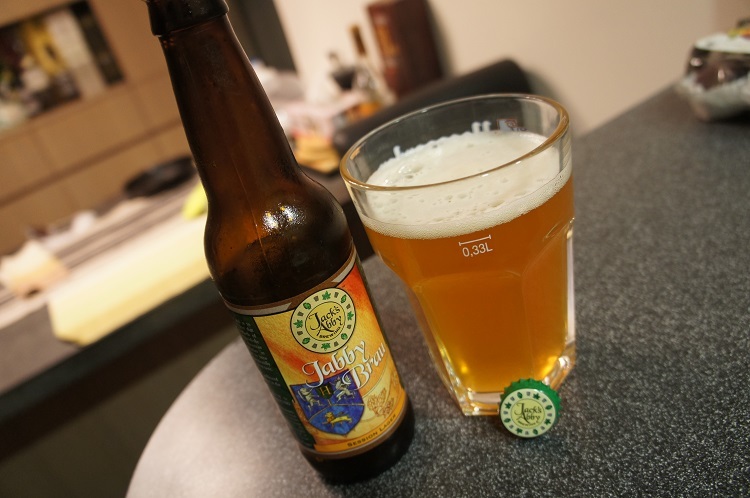 Aroma: Mainly citrus zest hops followed by some tropical mango and light pepperiness. Taste: Light caramel malt flavours followed by some nice bitter citrus and grassy hops… orange and piney finish. Mouthfeel: Crisp and dry, light to medium bodied with medium carbonation. Overall: I am impressed. The world needs more lagers like this. 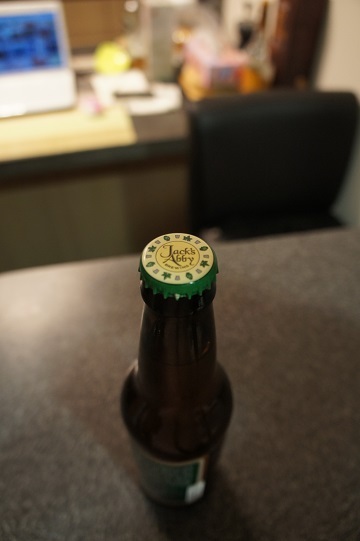 It is far and away the best lager I’ve tried, and a very good example of what can and should be done with lagers.